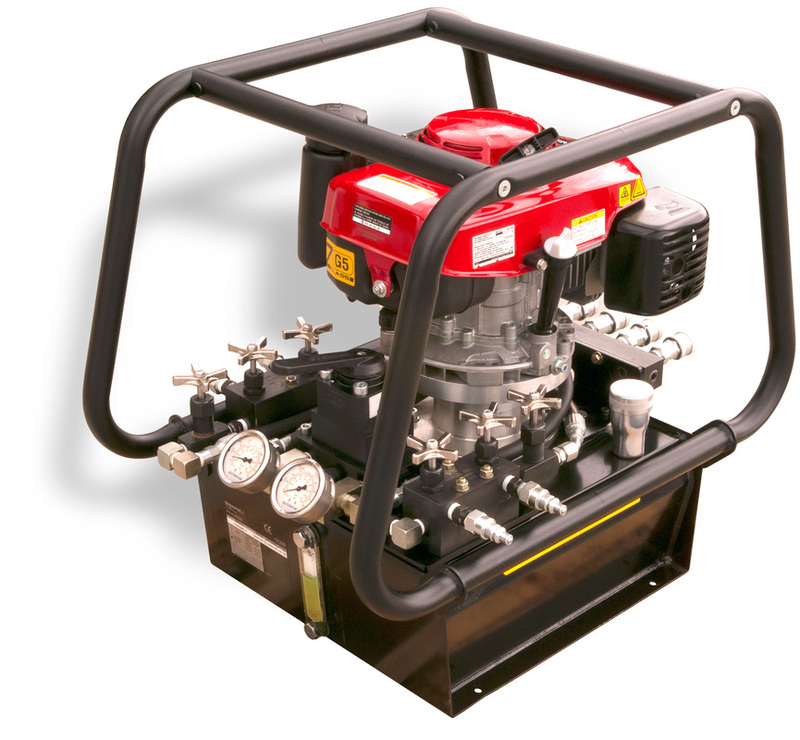 Our portable Power Pack is perfect for those jacking operations where you don’t need a larger machine. Offers three-point zone package and single or double acting capability with ports for up to eight Jacks. Easy-to-read hydraulic gauges on pressure and return sides. Honda 160 OHV engine. Roll cage for easy lifting and securing. Five-gallon oil capacity. The Power Pack can also be used for manual operation of Dolly Jacking and Steering Cylinders. Our 3/8" 10,000 PSI Jack Hoses are manufactured with a High Nitrile inner tube for superior hydraulic fluid compatibility, two braids of high tensile steel and a black synthetic rubber cover that is resistant to weather, oil and abrasion. The hoses can be ordered with either quick connectors or screw connectors to match the hoses you already use. The hoses come standard in 25' (Black bend guard) or 50' (Red bend guard) but can be ordered in custom lengths as well. Tee Hoses come in 6' lengths or may be ordered in custom lengths. Aeroquip Fittings. Screw couplings are also available.